It was much deeper & richer than I'd hoped or expected." "I was thinking a refreshing glass of lemonade, and I got champagne!" Find compelling images and language that fit your story and fit your style! 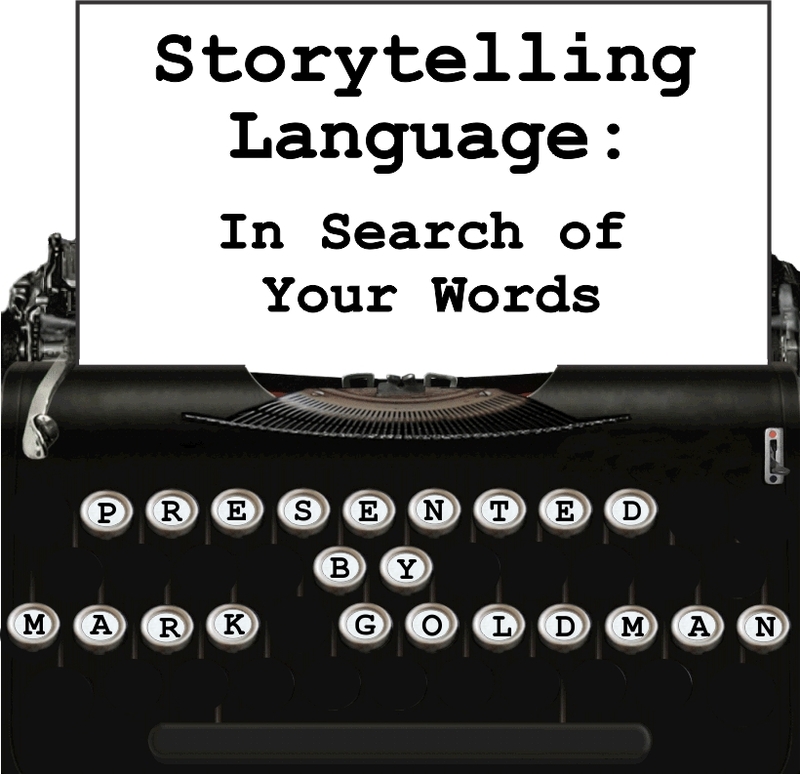 Mark Goldman takes you step-by-step through exercises that will help you find creative imagery and language that make your story more memorable and longer-lasting for your audiences. This workshop will focus on YOU and YOUR creativity! ...that exist inside of you! Learn how to turn simple phrases into compelling descriptions. She couldn't see through the fog. ...The mist was a sea of haze that clouded not only her vision, but her mind. ...His fear was like a huge vise that had him so tight in its grip he could not move. ...Her lips arched upward and spread a brilliant glow across the room. How to bring your images and story to life! Assist your crafting and telling!